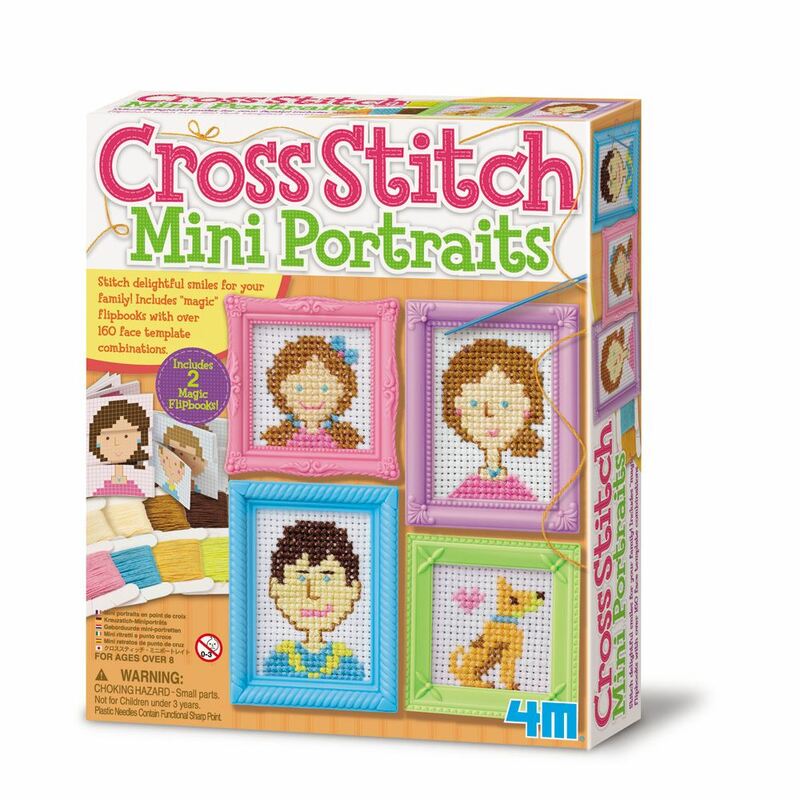 Stitch delightful smiles for your family with this Cross Stitch Mini Portraits Kit from 4M. Includes two "magic" flip books showcasing over 160 face template combinations. 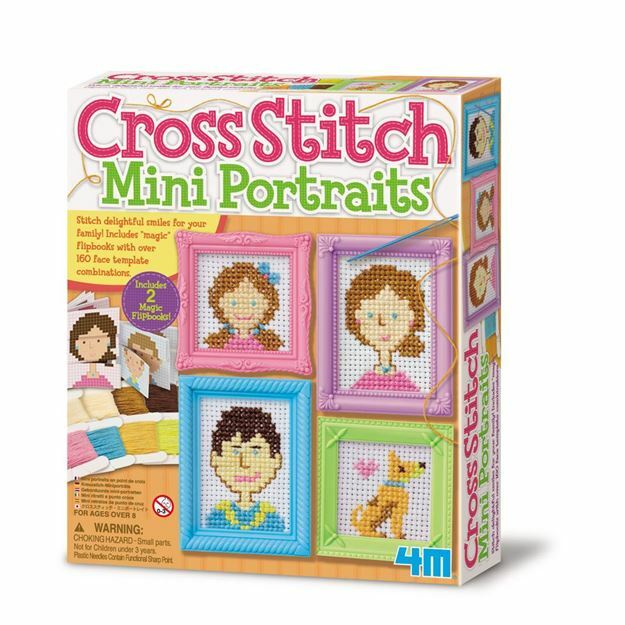 Includes: 4 outer frames, 4 inner frames, 4 tabs, 8 spools of coloured embroidery floss, a canvas sheet, 2 plastic needles, 2 magic flip book templates and detailed instructions. Age 8+ years. Distributed in New Zealand by Holdson.